The professionally trained full time staff work as a team to help each person develop and learn various life skills such as housekeeping, laundry, menu planning, grocery shopping, and cooking. The staff also helps each resident to recognize the importance of good personal grooming habits and healthy sleep patterns. An integral part of the program is the required attendance at a structured daytime activity such as a day program, employment, or a volunteer job. FIR assists in this aspect by providing transportation if needed. Social interaction and good inter-personal skills are encouraged through planned weekly group activities based on the residents’ preferences. The FIR staff also monitors self-administration of all medication. Medication management may include: reminding residents to take medication, assistance in obtaining and filling prescriptions, and keeping all medications secure. All operations are made possible through fees from the residents, public and private grants and tax deductible charitable contributions. Members of FIR voluntarily oversee the operation of the program. Committees of volunteers give parties, maintain the properties and raise money when necessary. Others serve on various committees which administer personnel, budget and other supportive functions. The FIR structure includes a Director who supervises the staff and residences. The Director manages a professionally trained staff 24/7/365 providing direct care for the residence. All personnel contribute their various talents in support of the mentally ill residents through the teaching of living skills, providing medication education and giving emotional support. They assist the residents in the activities of daily living such as planning menus, recreational activities, and household chores. Each resident prepares one meal per week under the supervision and support of the Activity Director. Personal laundry, hygiene and work duties around the house are some of the other staff-assisted activities. Each resident is required to be involved in a daily activity, planned jointly by the residents, staff and family. This daily activity is planned to be as low-stress as possible yet also challenging enough for the resident’s growth toward independence and self- esteem. Daily activities may include attending County or private day treatment programs for the mentally ill, volunteer work, school and vocational training, or working part or full time. An important element of FIR is family involvement. Since FIR is composed of families and friends of the residents, they are an important link in the total rehabilitative process. Our philosophy stresses the importance of family involvement, not only for maintaining the houses in good order, but also as a part of the resident’s rehabilitative process. FIR believes it residents draw great encouragement through continued interest and support of the families. 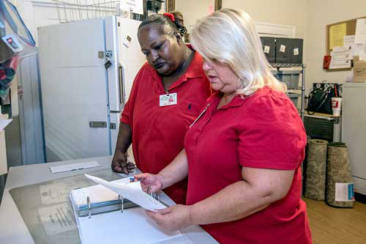 Often the staff holds staff-family conferences to review each resident’s progress. In the way, staff and family work together in dealing with the growth and progress of residents. Our home should not be viewed as simply housing. At Family Initiative Residences, Inc., members and staff work together to teach our residents living skills, provide emotional support, encourage independence and improve self-esteem. Through our collective efforts, the residents receive not only an alternative to the streets and institutions, but also the ability to experience and live life in spite of their illness. We will Regulate Medication to Make Sure it is Received at the Appropriate Time, and Correct Amount. We have volunteer and paid staff ready to support you! The professionally trained full time staff work as a team to help each person develop and learn various life skills such as housekeeping, laundry, menu planning, grocery shopping, and cooking. The staff also helps each resident to recognize the importance of good personal grooming habits and healthy sleep patterns. An integral part of the program is the required attendance at a structured daytime activity such as a day program, employment, or a volunteer job. FIR assists in this aspect by providing transportation if needed. Social interaction and good inter-personal skills are encouraged through planned weekly group activities based on the residents’ preferences. The FIR staff also monitors self-administration of all medication. Medication management may include: reminding residents to take medication, assistance in obtaining and filling prescriptions, and keeping all medications secure. All operations are made possible through fees from the residents, public and private grants and tax deductible charitable contributions. Members of FIR voluntarily oversee the operation of the program. Committees of volunteers give parties, maintain the properties and raise money when necessary. Others serve on various committees which administer personnel, budget and other supportive functions. The FIR structure includes a Director who supervises the staff and residences. The Director manages a professionally trained staff 24/7/365 providing direct care for the residence. All personnel contribute their various talents in support of the mentally ill residents through the teaching of living skills, providing medication education and giving emotional support. They assist the residents in the activities of daily living such as planning menus, recreational activities, and household chores. 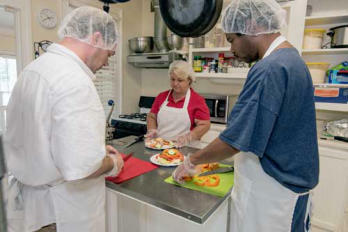 Each resident prepares one meal per week under the supervision and support of the Activity Director. Personal laundry, hygiene and work duties around the house are some of the other staff-assisted activities. Each resident is required to be involved in a daily activity, planned jointly by the residents, staff and family. This daily activity is planned to be as low-stress as possible yet also challenging enough for the resident’s growth toward independence and self-esteem. 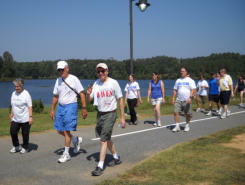 Daily activities may include attending County or private day treatment programs for the mentally ill, volunteer work, school and vocational training, or working part or full time. An important element of FIR is family involvement. Since FIR is composed of families and friends of the residents, they are an important link in the total rehabilitative process. Our philosophy stresses the importance of family involvement, not only for maintaining the houses in good order, but also as a part of the resident’s rehabilitative process. FIR believes it residents draw great encouragement through continued interest and support of the families. Often the staff holds staff-family conferences to review each resident’s progress. In the way, staff and family work together in dealing with the growth and progress of residents. Our home should not be viewed as simply housing. At Family Initiative Residences, Inc., members and staff work together to teach our residents living skills, provide emotional support, encourage independence and improve self-esteem. Through our collective efforts, the residents receive not only an alternative to the streets and institutions, but also the ability to experience and live life in spite of their illness.